Jermain Defoe's eighth goal of the season condemned Premier League champions Leicester to yet another defeat as improving Sunderland won for the third time in four attempts. Defoe struck with 13 minutes remaining after Robert Huth's own goal had given the home side the lead, and, although substitute Shinji Okazaki pulled one back for the visitors within two minutes, there was no way back. The Foxes were once again a shadow of the side which romped to the Premier League title last season and the Black Cats took full advantage to win 2-1 in front of a delighted crowd of 39,725 to further boost their survival hopes. 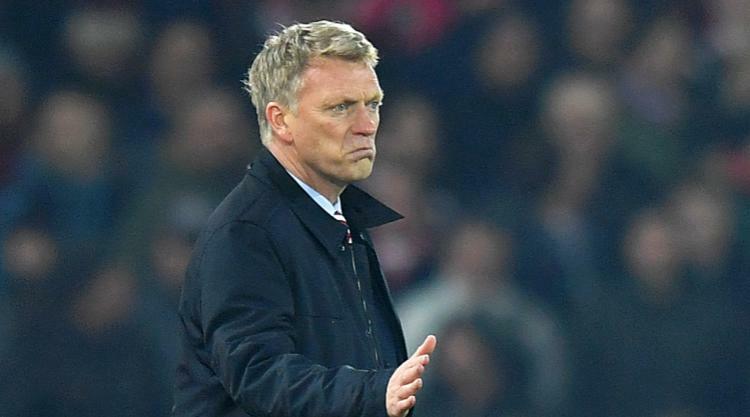 Sunderland went into the game with a measure of confidence having recorded back-to-back victories before last weekend's defeat at Liverpool, and they started as if they meant business. With in-form striker Victor Anichebe tormenting right-back Danny Simpson, they started at a sprint and a Leicester side which had collected just a single point on the road this season before kick-off came under intense pressure. Duncan Watmore called upon keeper Ron-Robert Zieler with less than a minute gone and it took fine blocks by Wes Morgan to deny both Defoe and Anichebe in a high-octane opening. However, it was central-defensive partner Huth who came to the rescue with 14 minutes gone when he threw himself into the path of Anichebe's goal-bound shot after he had out-muscled Morgan. The former Everton frontman turned provider three minutes later when he picked out Defoe on the edge of the six-yard box with a low cross, but for once his strike partner misfired, failing to make a telling contact. Leicester gradually worked their way into the game with wide-men Riyad Mahrez and Marc Albrighton finding their feet, but Jamie Vardy passed up a series of half-chances to end his 15-game drought for the club, the best of them a glancing near-post header from a 21st-minute corner which flew across the face of goal. Indeed, it was full-back Christian Fuchs who went closest to breaking the deadlock with a stoppage-time cross which floated on to Jordan Pickford's crossbar. Pickford had to pluck Andy King's 53rd-minute snapshot out of the air, but did so with little difficulty, although he was grateful to see Islam Slimani's instinctive close-range strike hit the unwitting Papy Djilobodji before Jan Kirchhoff cleared two minutes later. But the German was instrumental as the Black Cats took a 64th-minute lead when his header from fellow-half-time substitute Sebastian Larsson's corner hit Huth and flew past the helpless Zieler. The Foxes were rocking and Simpson was fortunate to survive penalty appeals for his untidy challenge on Patrick van Aanholt seconds later, while Zieler did well to repel Defoe's well-struck effort with 20 minutes remaining. But Defoe made sure seven minutes later when he fired unerringly into the bottom corner to kill off any hope of a fightback, although Okazaki's deft 79th-minute finish from fellow substitute Demarai Gray's near-post cross made for a tense conclusion during which Pickford had to be at his best to deny Morgan deep into stoppage time.